Apple has successfully defended itself in a lawsuit in which it had to prove that a 2006 update to iTunes not only didn't violate antitrust laws, but also was a "genuine product improvement" that was good for users. 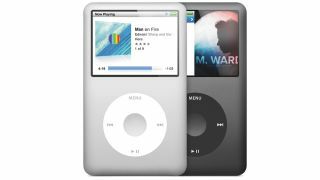 The case centered on the Digital Rights Management (DRM) restrictions that Apple introduced in its music with that version of iTunes. It could have cost Apple $1 billion (about £638m, AU$1.2b). But a jury of eight unanimously determined that Apple's restrictions did not break antitrust laws and that iTunes 7.0's tightened security didn't harm its users. "We thank the jury for their service and we applaud their verdict," Apple told The Verge in a statement. "We created iPod and iTunes to give our customers the world's best way to listen to music. Every time we've updated those products - and every Apple product over the years - we've done it to make the user experience even better." The case began with two users who weren't happy that they couldn't play songs purchased outside of iTunes on their iPods or play songs purchased in iTunes on other devices, but Apple argued that its hardware and music software are an "integrated system" like a video game console. Further the company said that the DRM was required by deals it had with music labels. The plaintiffs reportedly plan to appeal, but for now the court has spoken. Thankfully the new iPhone doesn't have any issues. Right? Right? ?